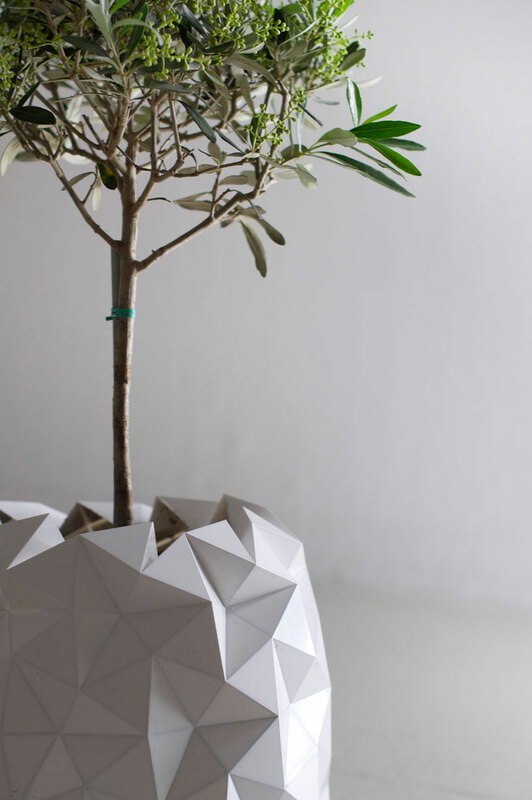 The concept behind “Growth”, an expanding origami pot, is nothing short of genius. 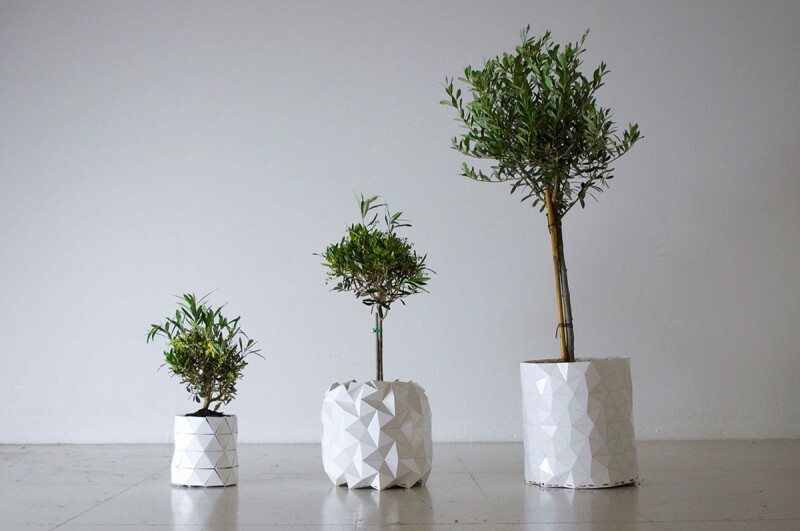 Instead of having to transfer a plant every time it outgrows its pot, the origami pot expands with the plant, dramatically decreasing the trauma the plant undergoes. This method also saves the plant owner a lot of hassle since he/she doesn’t have to transfer the pot and only needs to add soil. The design is absolutely exceptional. Based on Japanese origami technique, the pot is composed of triangular shapes. 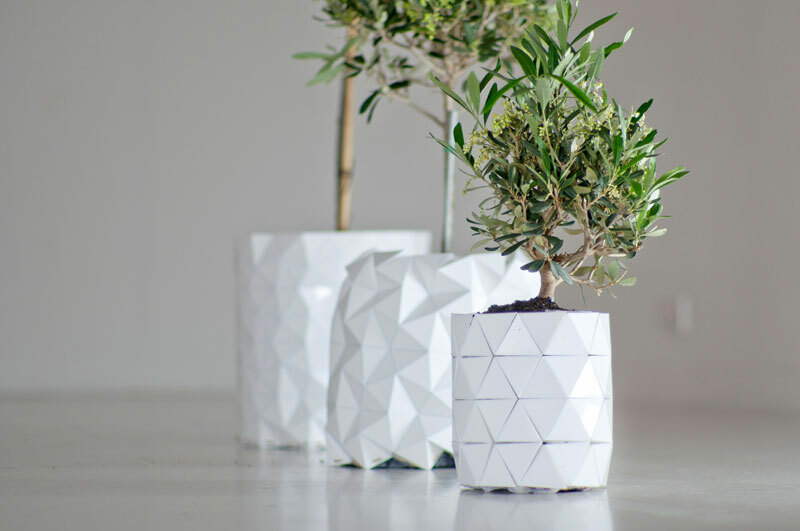 In its most compact position, the triangles are closely knit, and as the plant expands, the triangles take on a three dimensional and more fluid look. The Expanding Origami Pot was designed by Studio Ayaskan, a London-based designed company run by two twin sisters, Bike and Begum Ayaskan, who graduated from the Royal College of Art in London. The Growth pots are composed of a polypropylene frame that is a very resilient material. A mesh, also made from polypropylene is attached to the base which enables the water to drain out. The triangles are initially in a compact and folded position and magnify as the plant grows and the soil around it increases.